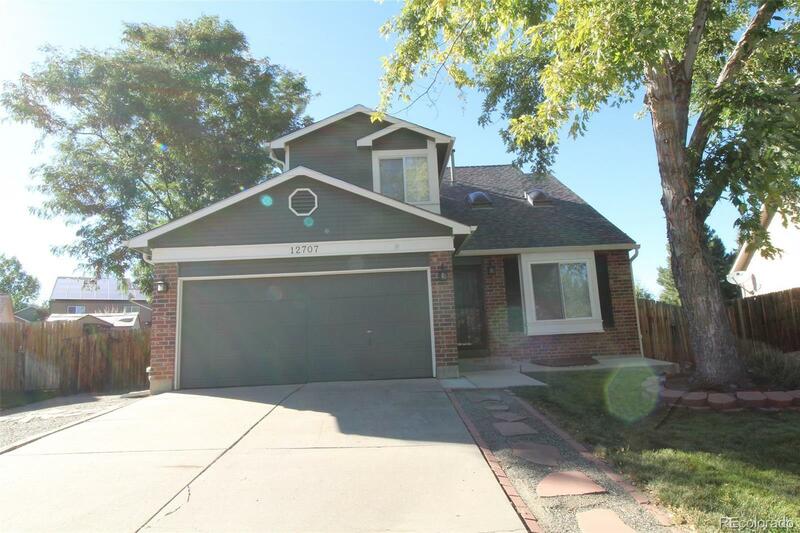 MLS#: 6171521 - Courtesy of Brokers Guild-Cherry Creek Ltd. Totally remodeled and backs to a park! Everything has been updated -- hickory hardwoods throughout main level, new trim, doors, hardware/knobs, lighting and plumbing fixtures! High-efficiency furnace, A/C, 50 gal. water heater & sump pump are newer, newer roof & disposal. All bathrooms have been remodeled with designer tile, vanities, river rock shower pan and more! Other extras include shaker-style maple cabinets, stainless steel appliances, open concept from kitchen to dining room, 2" blinds throughout, custom paint, newer carpet, newer egress window in the finished basement (could be 4th sleeping area). BIG, private lot in Westgold Meadows backing to pocket park, mature landscaping, new 8x12 storage shed, large deck and only 6 houses to Mount Carbon Elementary - awesome outdoor environment! HOA includes community pool & tennis too. Truly move-in ready!